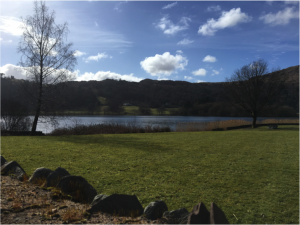 Dr Emily Bell is a BARS/Wordsworth Trust Fellow, living in Grasmere and collaborating with the Wordsworth Trust, researching the relationship between Wordsworth and the village community. You can follow her on Twitter (@EmilyJLB). I am delighted to be President of BARS at such an exciting time. We are a very busy and resourceful organisation, striving to fulfil our mission of promoting Romantic studies in the UK and beyond. Our financial situation is healthy which means we can support and expand existing initiatives and develop new methods of supporting our membership. Since I became President in 2015, we have made a big push to support Early Career scholars as we recognise that this can be a difficult stage in the career path. 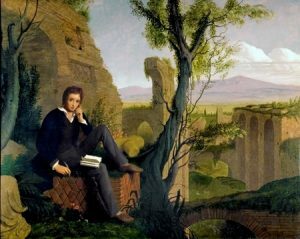 We have therefore introduced three new awards: the Wordsworth Trust Fellowships, the Nineteenth Century Matters Fellowship (in association with BAVS), and the Scottish Romanticism Research award. I would like to expand these schemes and introduce new ones, perhaps in new national or regional centres, and/or focused on public engagement and impact, and/or linking up with international partners. I invite all members to submit ideas for new awards with clearly defined outcomes that will benefit the holders: please send ideas to the Executive via the BARS Secretary (email address on the BARS website).